Bengal is traditionally known for one of the first cotton textile sarees. One can recall Tangail, Dhaniakhali, Jamdari, Baluchari sarees, the first two can be linked with specific geographical location Tangail in Bangladesh and Dhaniakhali in West Bengal. Some 400,000 artisans families are involved in handicrafts cotton textile weaving process in Hooghly, Nadia, Bankura and Bardhaman districts. Like the proverbial Muslin created in Murshidabad, also famous for silk sarees, the weavers of Bengal are reportedly facing biggest crisis in the struggle for survival, according to a media report (The Hindu, August 8, 2017). In the era of environmental awareness, one has to appreciate the cotton textile weavers, who have been promoting natural fibres for centuries. The entire crisis emerged due to the introduction of Goods and Services (GST) in August 2017. Reportedly, a 5 per cent GST is to be charged on cotton textile, and the weavers who depend on it are now facing problems. Work orders from Mahajans or the wholesalers have dried up. The weavers do not know how to prepare their bills with the GST, and are lost due to the lack of information and guidance. The West Bengal Minister of State for Micro, Small, Medium Enterprises and Textiles Swapan Debnth, simply stated, “The weavers are facing severe inconveniences due to the confusion surrounding GST”. It appears there is no confusion. 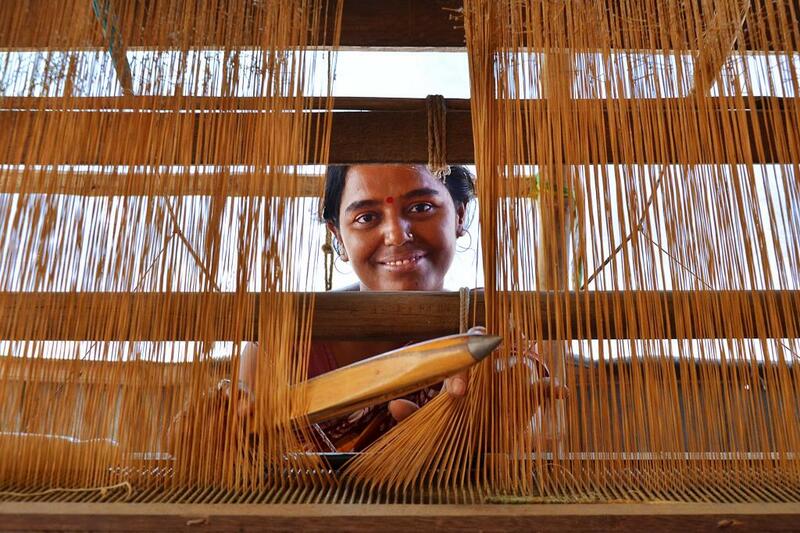 The weavers, who earned Rs 6,000 every month, hardly get Rs 2,000, according to The Hindu. But who will assist nearly 1.4 million households to survive in despair? The state government must step in to help them, with a practical guideline about the application of GST. The Central government has been proclaiming poverty eradication, but their action is making lakhs of traditional weavers poorer. Will India’s recycling sector collapse under the new GST regime?